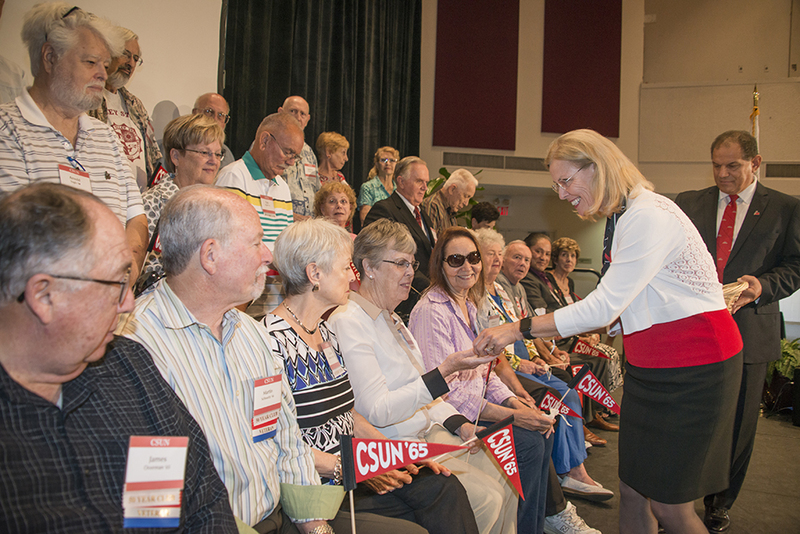 CSUN President Dianne F. Harrison congratulates 50-Year Club inductees at Founders' Day. Photo by Lee Choo. 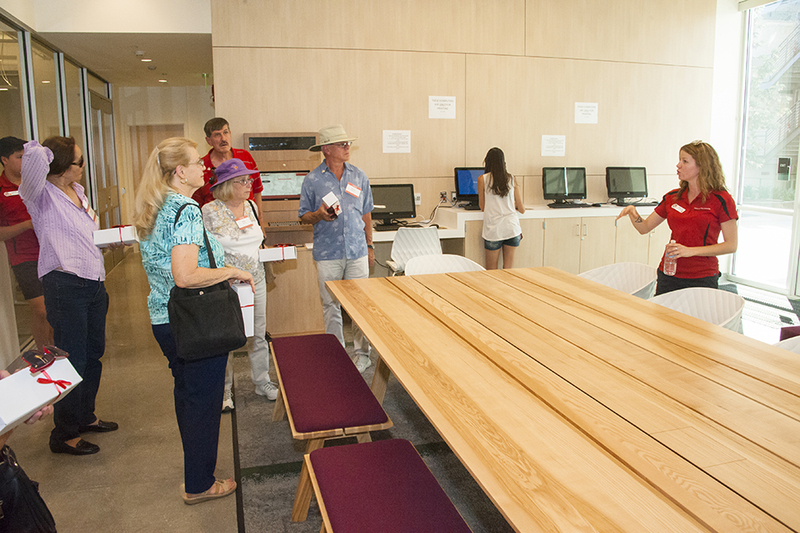 Inside California State University, Northridge’s University Student Union East Conference Center on Sept. 19 there was a room that housed artifacts from 1965. 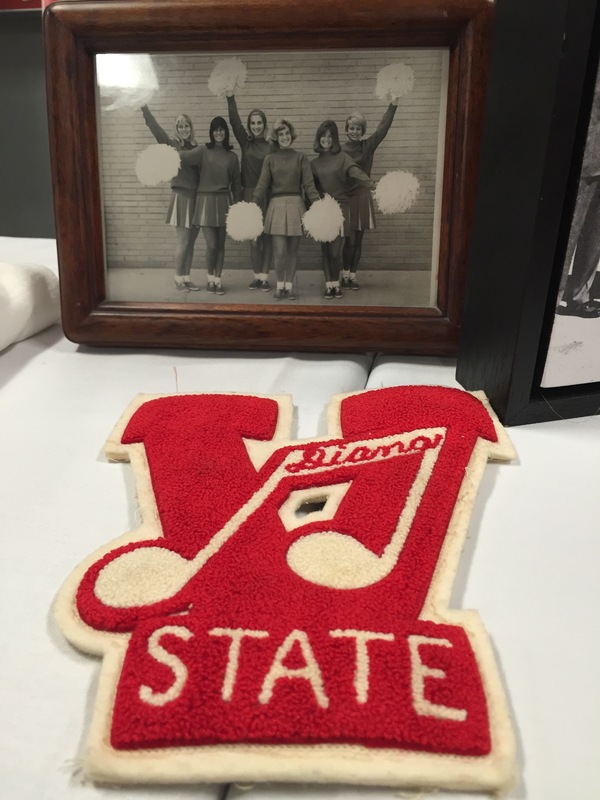 A cheerleader’s patch, a photo of the ’65 basketball team, pamphlets and guides that students received when the school was known as San Fernando Valley State College. But walking in and out of that room and strolling through CSUN’s campus was actual living history. People who, 50 years ago, were going to class in bungalows, hanging out at the school cafeteria and experiencing the escalation of the Vietnam War and historic and tense societal changes. 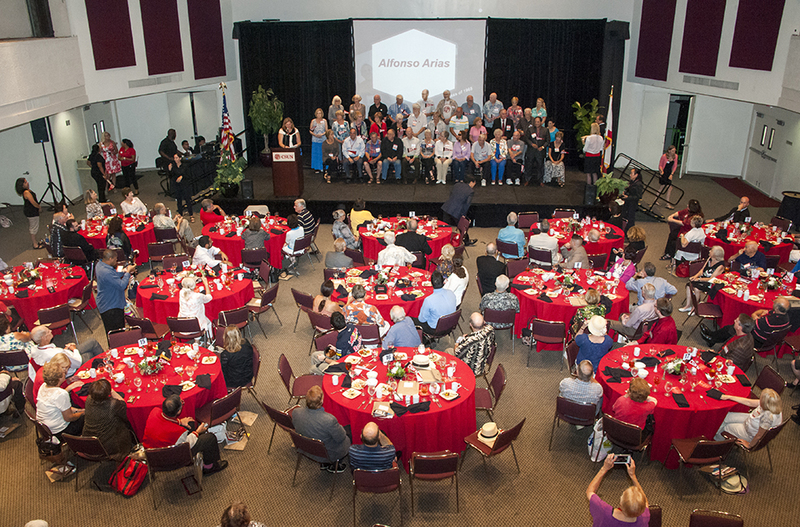 Seven faculty members and 43 members of CSUN’s Class of ’65 — a perfect 50 — were inducted into CSUN’s 50-Year Club at the annual Founders’ Day. 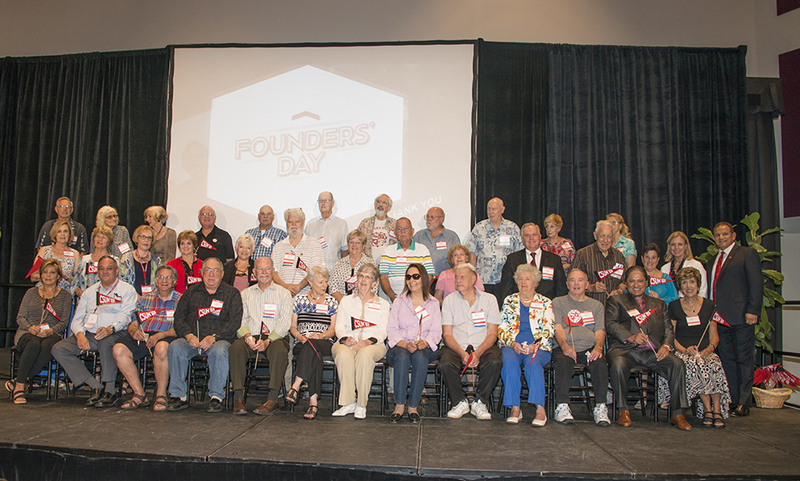 Beyond honoring the “Valley Staters’” longevity, the day also served as a reunion. And then there was the traditional kind of college reunion. The 43 alums (35 were present at the event) have come a long way since the transformative 1960s. During the induction into the 50-Year Club at the Northridge Center, each inductee appeared on stage while presenter Wendy Yost read their bios. 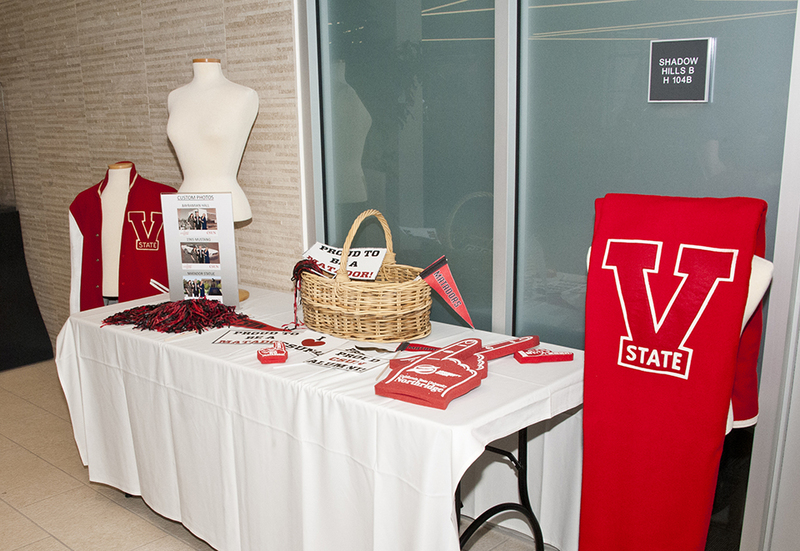 The honorees’ post-graduate careers ran the gamut, from education to government service to entrepreneurship. Their interests included traveling, being grandparents and, for one alum, skydiving. The audience gasped when Lawrence Pearlman’s bio was read. He has completed 3,400 skydives — making the last jump in 2008 at age 70. Four took place on the CSUN campus, including one where he delivered the game ball for a CSUN football game. Pearlman, who lives in Sherman Oaks, proudly spoke of those jumps, but also about his alma mater. 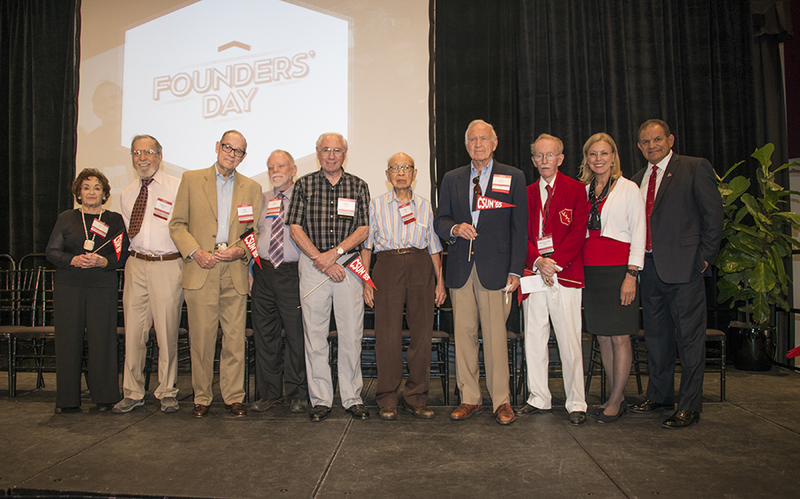 Prior to the Class of ’65 taking the stage to receive its recognition, another historic group received its due. The faculty members took the stage and were lauded for their service. Six faculty members began their tenure at CSUN in 1965, and one arrived in 1964. Professor James E. “Doc” Sefton was unable to make it to Founders’ Day in 2014, but he was lauded this year. 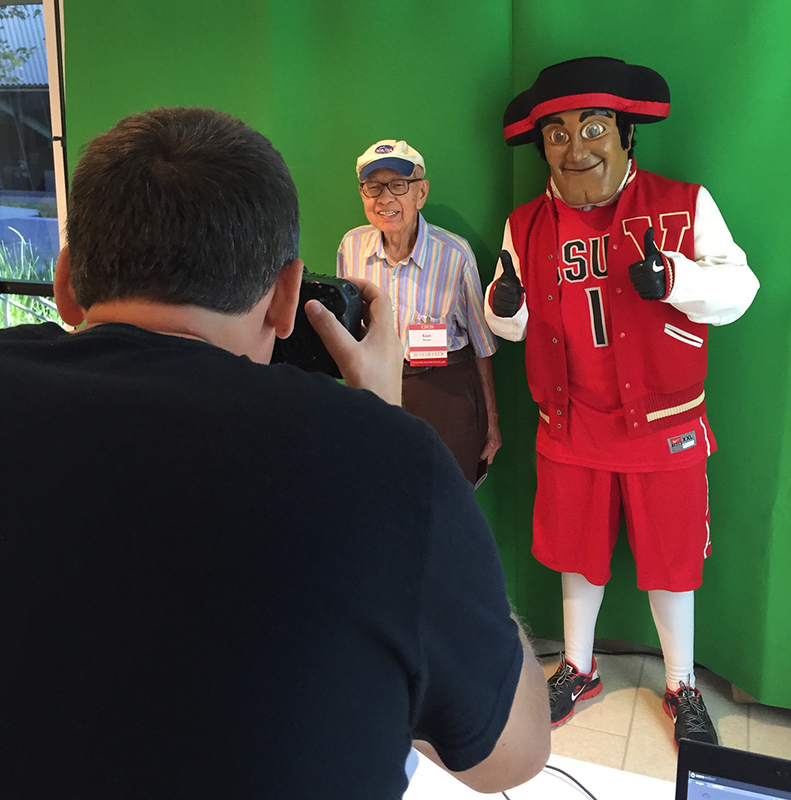 Sefton, wearing a red Valley State blazer, is in his 51st year as a full-time history professor at CSUN. In that time, he estimates that he has taught some 11,000 students. The veteran professor and CSUN President Dianne F. Harrison were two of the keynote speakers of the event. Sefton delivered a little levity during his speech, which summed up how the world can change in 50 years.